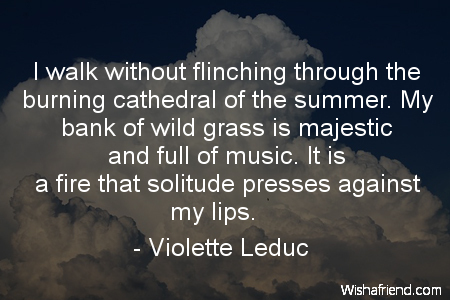 Violette Leduc Quote: I walk without flinching through the burning cathedral of the summer. My bank of wild grass is majestic and full of music. It is a fire that solitude presses against my lips.